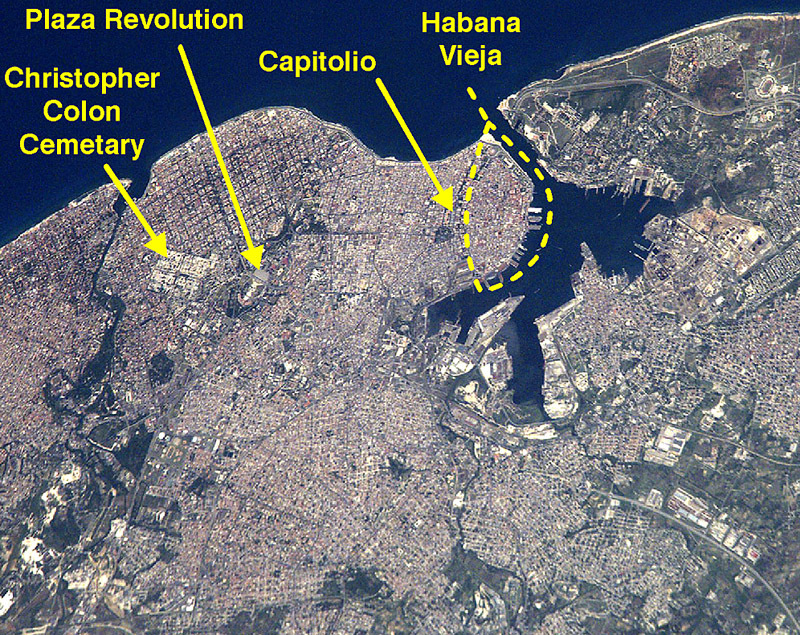 This public release photo courtesy of NASA clearly shows why Havana Harbour (Bahia de la Habana) was so prized as a sheltered harbour during colonial days. With a large sheltered anchorage, easily protected by its narrow entrance, at various times both the English and Spanish exercised control. Ultimately of course, the Spanish succeeded in final victory. I have taken the liberty of marking several readily identifiable points of interest onto the photo so viewers can orient themselves. North is at the top of the photo, which has been reduced in size to fit this page. For those who are technically inclined, here is the NASA information on the photo taken from the International Space Station.